Welcome to our second NACS safety Bulletin. I chose respiratory protection as my second safety Bulletin topic because it is so important. 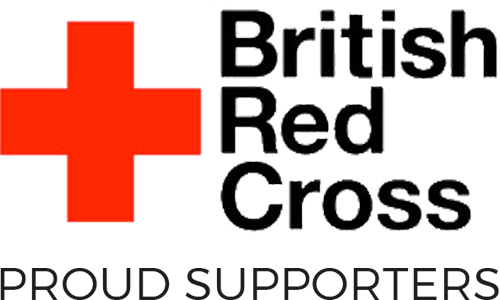 I have noticed on my travels that it is one of the safety precautions that some chimney sweeps and stove installers do not pay proper attention to, especially some of the smokers. Why is respiratory protection required? Chimney sweeps require respiratory protection because soot particulates are carcinogenic. Soot causes cancer and the particulates are fine enough to be absorbed into the body through the lugs. Each sweep or employee should have his own respirator, they should not be shared. The NACS recommends the use of a respirator mask that meets the FFP3 standard. The reason for this is because soot particulates are very fine. The FFP3 Respirator Mask would filter out at least 98% of the airborne respirable particles, whereas an FFP1 Respirator Mask would filter out just 78% of the respirable particles. FFP3 Respirator Masks are therefore most efficient in filtering out fine particles including carcinogenic soot, viruses and mould spores found in birds nests. The main types of protection available are disposable respirators (masks), reusable respirators and powered air respirators. When choosing a respirator the two most important factors are the level of filtration and the fit. It the respirator does not fit correctly and there are gaps – then it won’t work! A respirator must fit the face to seal and filter the air. 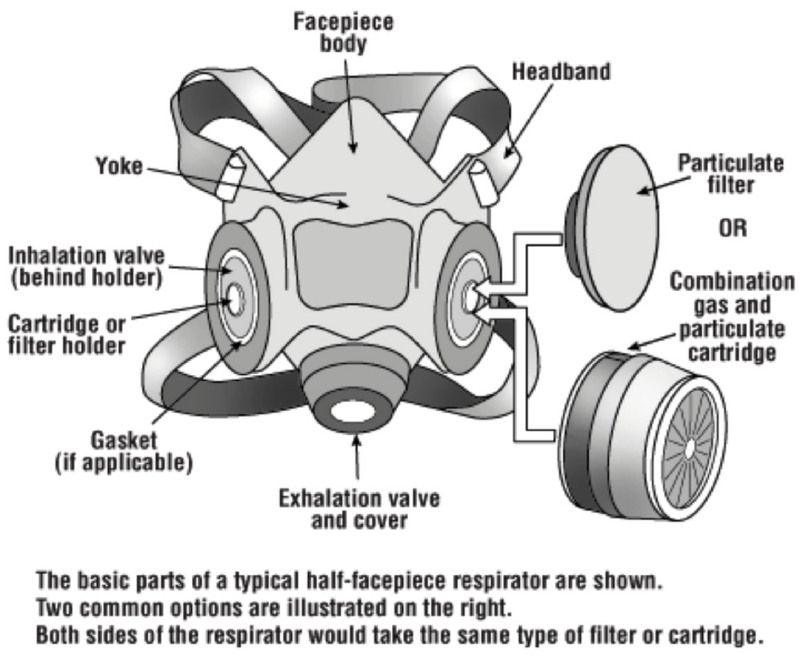 The Disposable Respirator (Mask): These either have a valve or not depending on the manufacturer and model chosen. Many people who use a disposable mask prefer one with a valve especially if they have glasses as they tend to reduced fogging/misting of the users glasses. Disposable masks are disposable! They should be disposed of correctly at the end of each job or shift. If the mask is taken off between sweeps it should be stored in a dry place where no soot or contaminates can get to the inner mask surface or from the outer too inner mask surfaces. They are not designed to be used for more than one day. The fit of disposable masks will vary depending on manufacturer and model. The Reusable Respirator (Mask): These masks are normally made from a rubbery type material with replaceable filter canisters. Once again The fit of the mask is important. For us chimney sweeps and installers we must make sure that the filter canisters fitted are FFP3 certified (other filtration canisters can be fitted for different work place requirements. Powered Air Respirators are the next step up in the world of respiratory protection. These units are powered by battery packs and feed your mask or hood with clean and pure air.They allow you to work safety in the most toxic of enviroments and each kit can be retrofitted with a range of filters to allow the powered air respirator to work in different environments. Powered air respirators are not the first choice of most sweeps because of the price. Before using a respirator, the wearer must perform a positive and negative pressure check. The wearer should ensure current facial condition will allow an effective seal (for example the wearer must be clean shaven). Positive pressure check. Close off exhalation valve with palms and exhale gently. No leakage outward around the seal should occur. Respirators must be stored away from dust, sunlight, heat, extreme cold, excessive moisture, damaging chemicals, or contamination. Filters and cartridges must be removed from the respirator and stored in separate bags to prevent cross contamination. Do not store items on top of respirators, which could deform the face piece shape. Do not store respirators in such places as lockers or tool boxes unless they are on a separate shelf or in carrying cases or cartons to preserve face piece shape. Respirators must be packed and stored according to the manufacturer’s instructions. Never store a respirator within a fume hood or at a work bench where contaminants are present. Follow the manufacturer’s instructions. To clean the respirator you should remove the filter canisters and wash with a mild dish detergent or a combination of detergent and disinfectant. Use a brush and warm water (49-60ºC or 120-140ºF). Rinse it with clean water, or rinse once with a disinfectant and once with clean water. The clean water rinse removes excess detergent or disinfectant that can cause skin irritation or dermatitis. It should then be dried on a rack or clean surface or hang from a clothes line. Position the respirator so that the facepiece rubber will not “set” crookedly as it dries. Store the respirator at the end of each shift to protect it from dust, sunlight, heat, extreme cold, excessive moisture, and contamination. Between each sweep clean and disinfect the respirator with Commercial respirator cleaning wipes or anti bacterial wipes. You should record all repairs and inspections and not mix parts from different manufacturers when repairing or replacing parts. Check for distortion caused by improper storage. In summary a FFP3 rated respirator is an essential piece of a chimney sweeps personal protection equipment. If used and cared for correctly it will protect its user from the harmful particulates that chimney sweeps encounter on a daily basis.